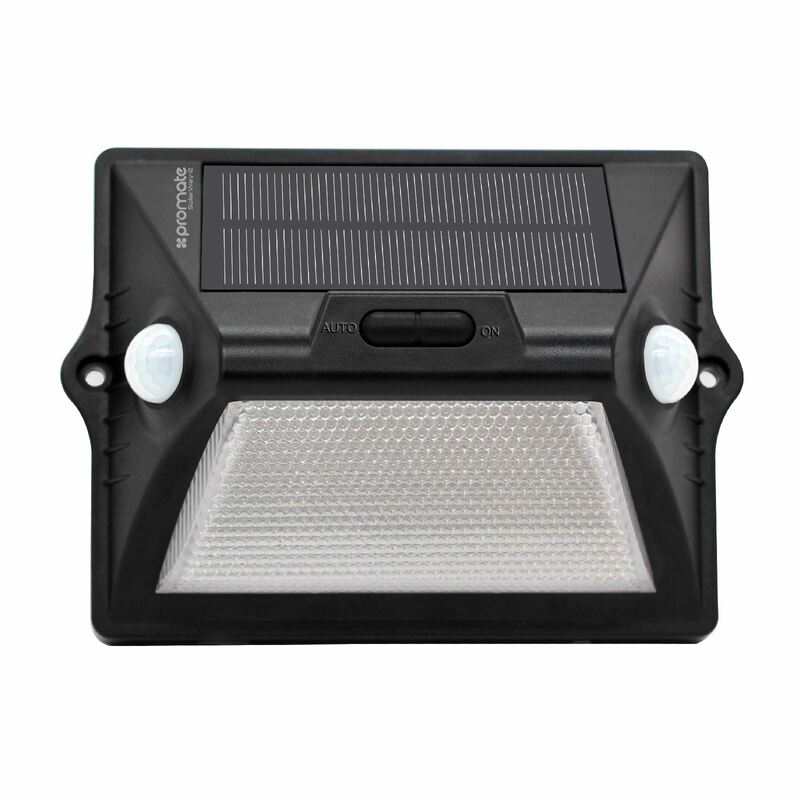 A superior solar wall light that offers contemporary design and reliable performance. This light has a minimal feel and is perfect for all year use. 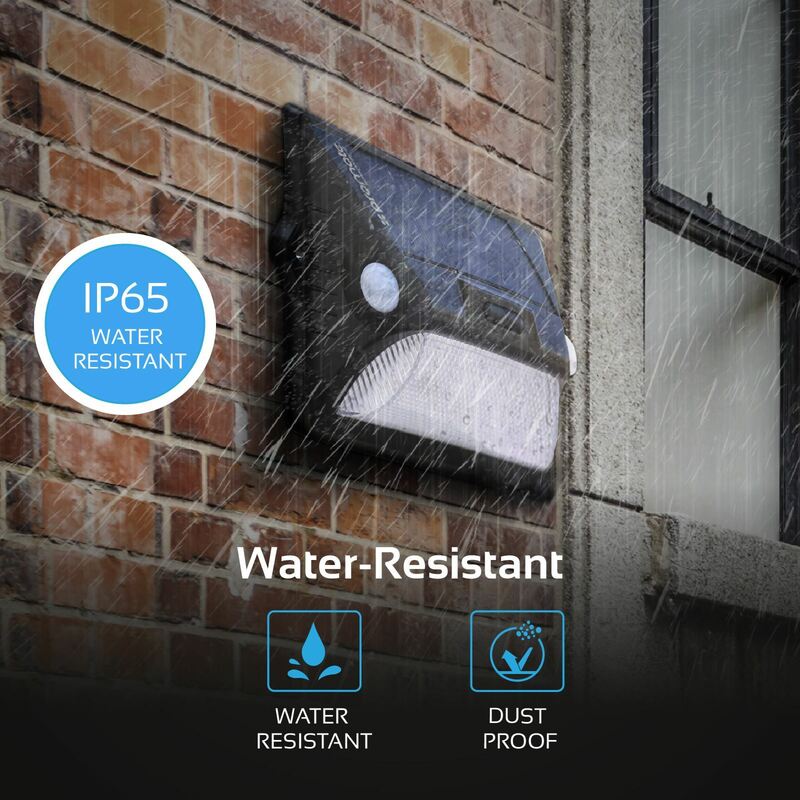 With an IP65 rating, it has superior water resistance, It will charge during the day and automatically activate at night when detects motion. Say goodbye to old fashion solar lights! 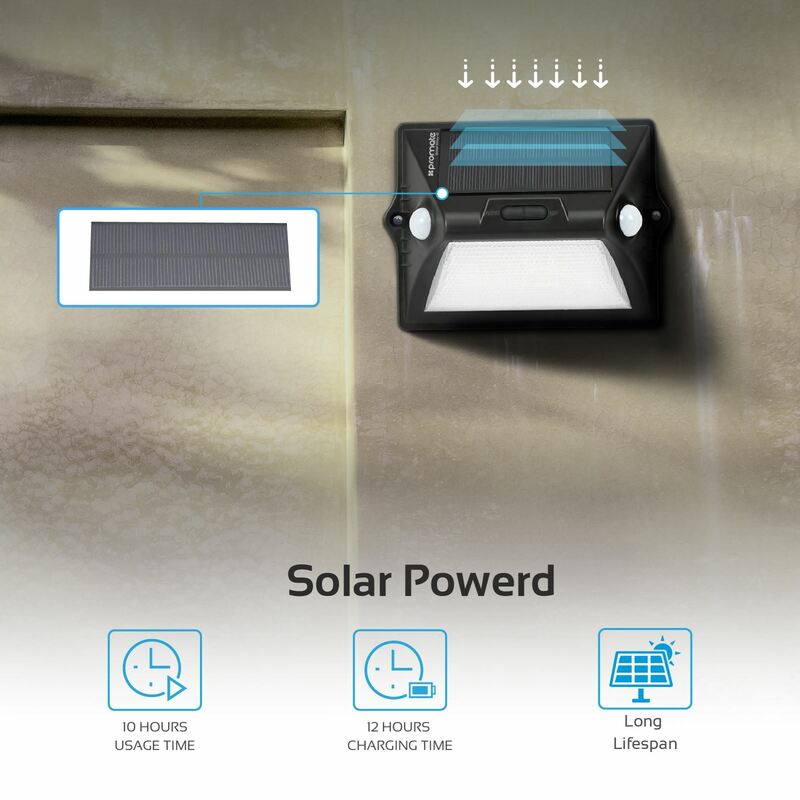 Equipped with the newest appearance and 20 high power LEDs, much brighter than other 20 LED solar lights in the market, solar light up to 8-10 hours of continuous lighting with a single full charge. 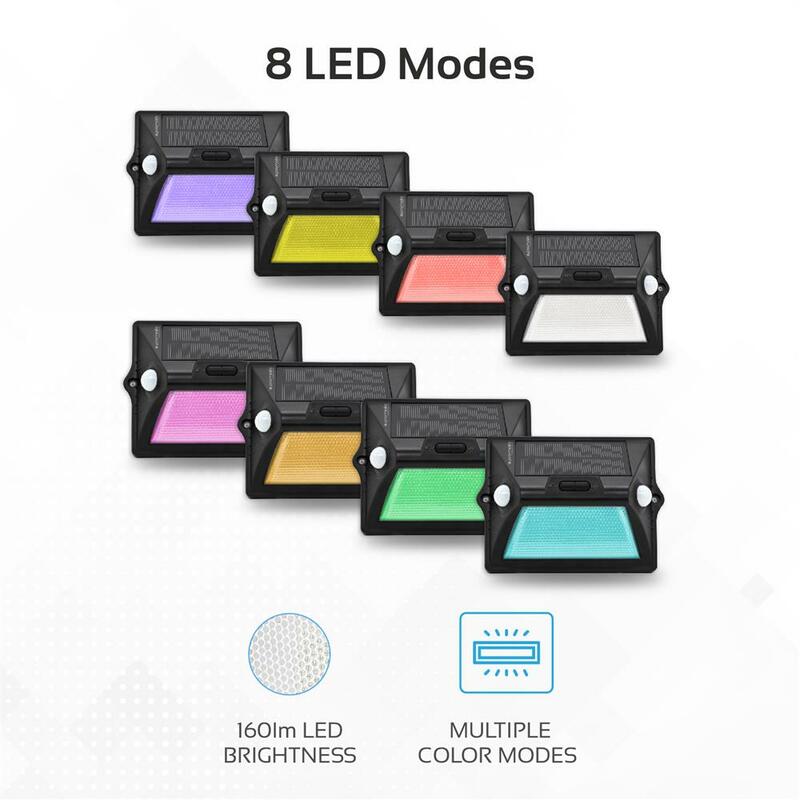 Choose the perfect mode according to your diverse needs, details on the description below. 8 different colors could automatically switch to decorate your warm home, especially when parties and festivals in the backyard. 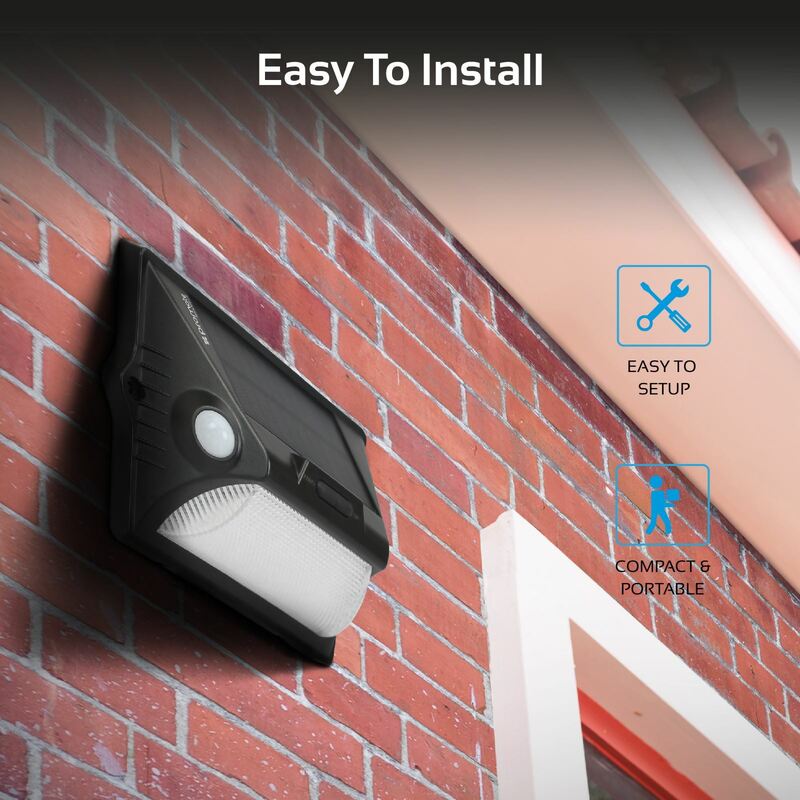 The solar lights are equipped with upgraded dual sensor technology provides an extra wide motion sensing range of up to 16 feet with a 180-degree sensing angle. Never worry about no detection. 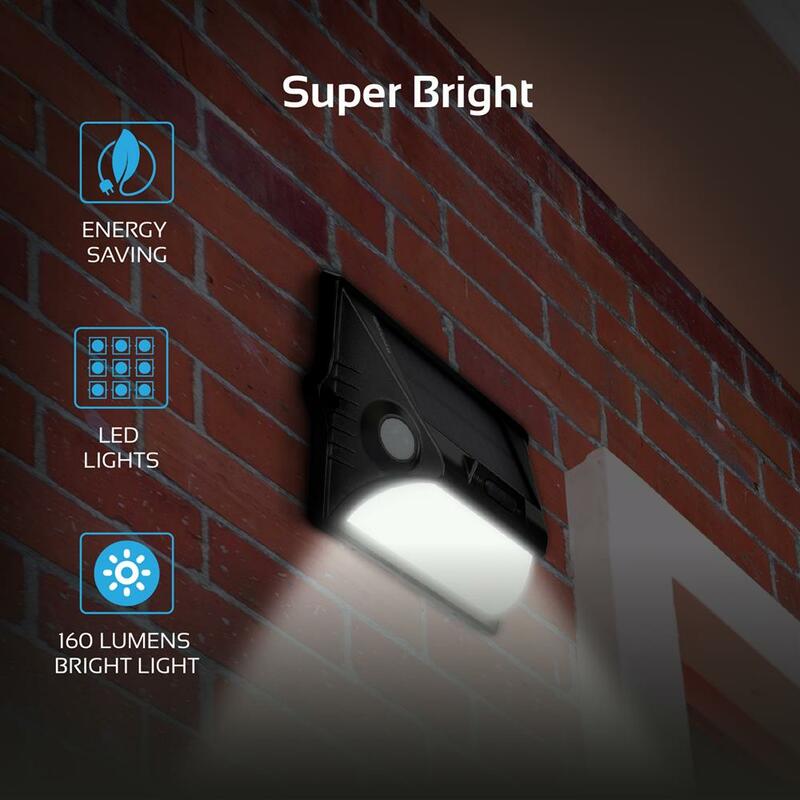 Don't worry about clumsy, ugly, awkward and intrusive wiring around your property as this light is powered by natures greatest energy source - our sun. Light and heat travel 93 million miles to be absorbed and converted into stored energy by the advanced solar panel technology onboard. 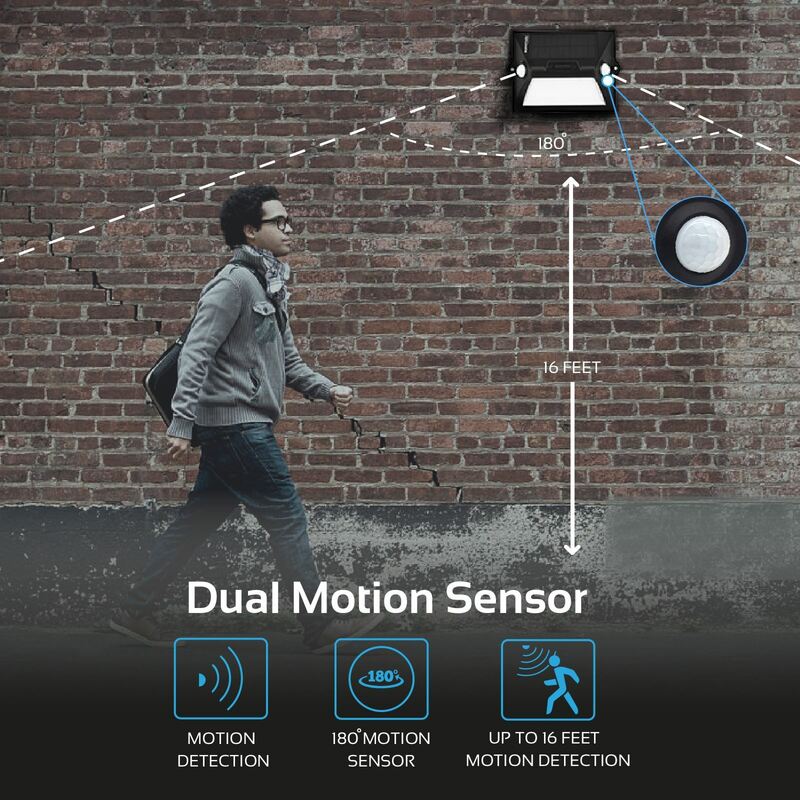 You don't need to use the light in the day, and the 'dusk 'til dawn' sensor will ensure the lamp won't activate in daylight anyway, so it's good news that this time is not wasted, rather spent recharging the integrated 2,000mAh battery. 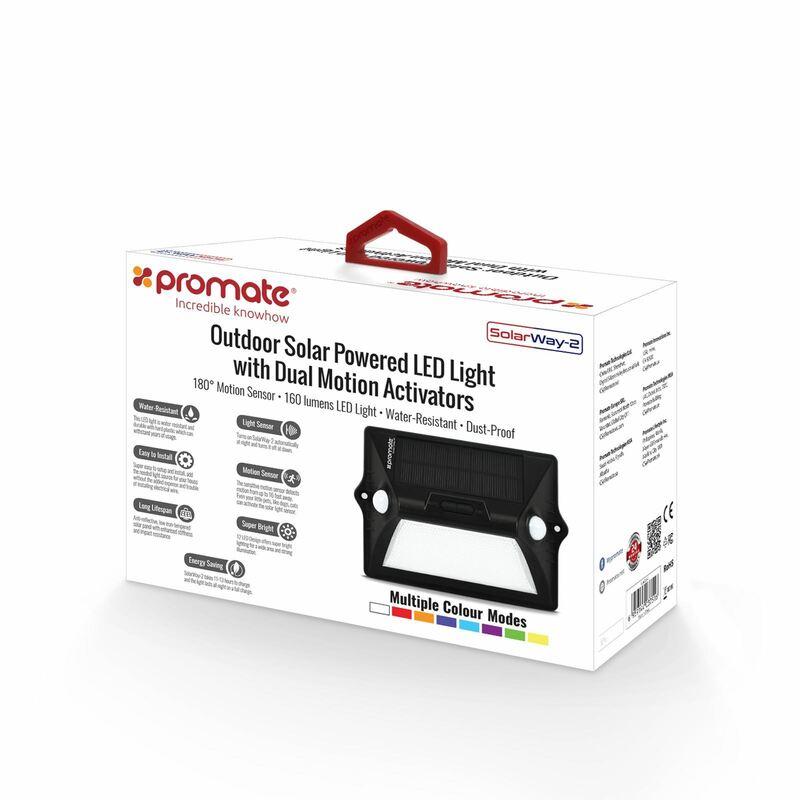 Promate motion sensor solar lights outdoor, no wiring necessary and no need extra electrical power, just put it under the sunlight to absorb solar energy, harnesses the energy of the sun to light your night.